Lets start with an amazing announcement… Peter Diamandis, Dubai Future Foundation (DFF) and yours truly signed an MOU in Boston a couple of weeks back for DFF to become hosting partner of A360 Dubai - with H.H. the Crown Prince of Dubai now the patron of this program, we couldn’t be more grateful and honoured. And thus our first piece this issue is about the future of government in a digital age - the UAE is right up there, as one of those few nations that’s leading the paradigm shift here. In other news, consider what happens when you combine the exponential fire power of a Peter Diamandis with the super energetic life coaching of a Tony Robbins? Check out our webinar link below for an amazing recent fireside chat between these two titans discussing longevity, education & food. With the constant fascination of man to conquer or discover nature at its deepest level, we look at drones rebuilding reefs, ocean ‘deep dives’ (think the movie ‘Meg’...) and China’s artificial night moon! Oh, and in case you wonder what a car can do for you in the future - check out our Tesla story on how you can potentially have your car earn you a side income, while you sleep! Governments are one of the last strongholds of an undigitized, linear sector of humanity, and they are falling behind fast. Apart from their struggle to keep up with private sector digitization, federal governments are in a crisis of trust. In many cases, the private sector — particularly tech behemoths — are driving greater progress in regulation-targeted issues like climate change than state leaders. And as decentralized systems, digital disruption, and private sector leadership take the world by storm, traditional forms of government are beginning to fear irrelevance. However, the fight for exponential governance is not a lost battle. Early visionaries like Estonia and the UAE are leading the way in digital governance, empowered by a host of converging technologies. 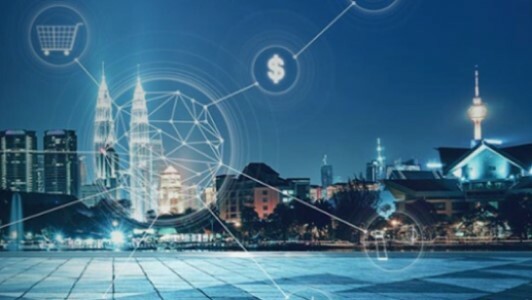 In this blog, we will cover three key trends: digital governance divorced from land, AI-driven service delivery, and regulation blockchain-enforced transparency. Every week, Peter video-captures for his community the most exciting new developments he comes across in his many interactions with different stakeholders from across the world. This week’s video is about the next generation of Tesla models. Tesla Earning You Money While You Sleep? Imagine a future where your self-driving car acts as a taxi when you aren’t using it— talk about a passive revenue stream! Would you feel comfortable having a stranger in your car without your supervision? On the flip side, would you feel comfortable in someone else's driver-less car? 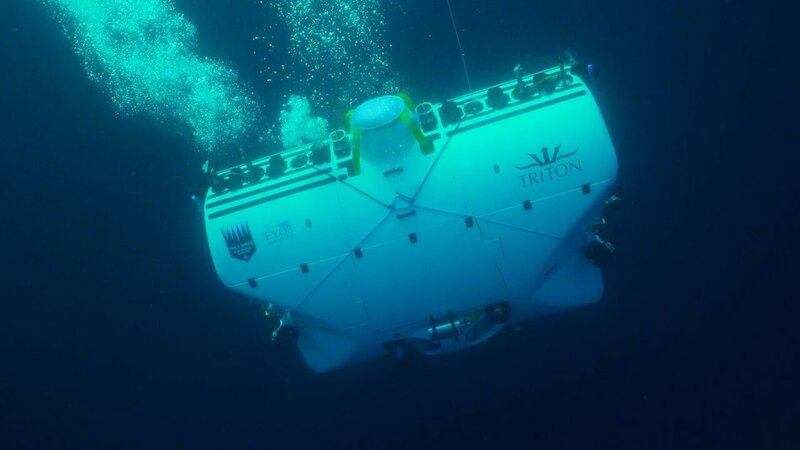 What it is: The Triton 36000 will bring humans to the deepest point in each of Earth’s five oceans (the Puerto Rico Trench in the Atlantic, the South Sandwich Trench in the Southern Ocean, the Java Trench in the Indian Ocean, the Challenger Deep in the Pacific, and the Molloy Deep in the Arctic). The vehicle is the first fully reusable, commercially rated, full-ocean-depth submersible capable of carrying humans. It is commercially certified for thousands of dives, has an echo sounder and a multibeam sonar for extremely precise seafloor mapping, and carries sample boxes for collecting critters, sediment cores, and more. The first dive is planned for December 2018 and the last is scheduled for August 2019. Why it’s important: The deepest 45 percent of the ocean is largely unexplored and unknown; today’s deep seafloor mapping relies on questionable satellite imaging techniques. This platform enables scientists to make enormous biological, ecological, geological, and oceanographic advancements at any depth. The crew also plans to achieve three breakthroughs: (1) make Victor Vescovo the first to both summit Mount Everest and reach the deepest ocean point, (2) be the first to reach the South Sandwich Trench and claim its naming rights, and (3) find and reach a point deeper than the Mariana Trench’s Challenger Deep, breaking James Cameron’s 2012 world record. What new knowledge about our planet will this mission uncover? What it is: Pairing reef reproduction with drones, Queensland University of Technology researchers are now repopulating entire regions of the Great Barrier Reef. As healthy corals reproduce through spawning — simultaneously releasing eggs and sperm into the water — these scientists collect hundreds of millions of coral spawn, incubating them in floating enclosures, and then designating LarvalBot drones to deliver these reared baby corals to the Reef’s most damaged areas. Carrying up to 1.4 _million_ larvae, just two or three LarvalBots can selectively disperse “larval clouds” over 1,500 square meters of damaged coral per hour, per robot. Why it's important: As ocean temperatures rise with the growing impact of climate change, the rate of coral bleaching has leapt over fourfold in the past 40 years — a process that strips corals of their symbiotic algae, wiping out entire zones. By spreading coral larvae up to 100 times faster than nature could alone, the LarvalBot and similar drone technologies could vastly repopulate this rich ocean resource, harnessing every large-scale spawning to revolutionize coral restoration. Natural resource depletion may be well underway, but emerging technologies coupled with natural reproduction processes are a promising combination to get us back on track. 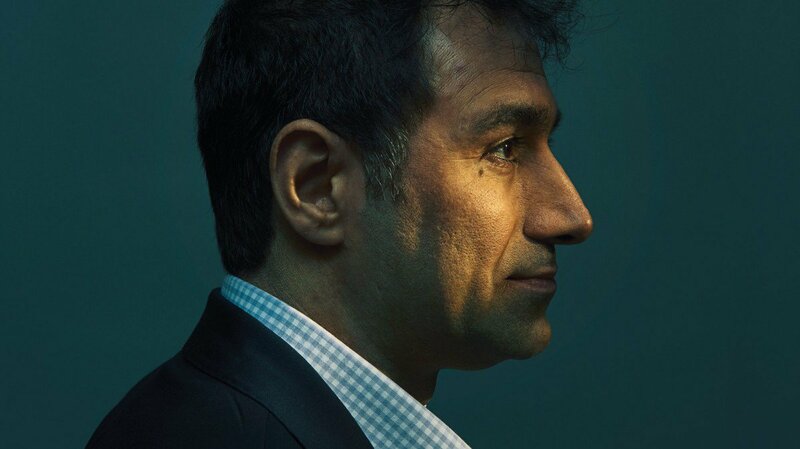 What it is: With his application Augmented Eternity, Hossein Rahnama allows people to create a digital persona that can interact with others on their behalf, even after they pass away. The avatar will be based on the digital footprints a person leaves throughout their lifetime. Augmented Eternity will assess data from multiple sources, including popular social networks and messengers, for emotional context and semantics. The digital avatar can change how it communicates based on a variety of factors (e.g. audience, location or time of day) and formats (e.g. text-based digital chatbot, audio voices like Siri, or 3D animated characters in virtual reality environments). Why it's important: A major use case for the technology will be the ability to keep someone’s personality alive beyond death. During life, however, a digital avatar could enable us to outsource part of our meetings and social interactions to our digital self. Digital avatars could even be future consultants. As company founder Rahnama points out: “The ability to represent and share expertise can actually contribute to new business models on the internet.” The project also addresses key ethical questions around data science, AI and how to deal with someone’s digital afterlife. What it is: The Chengdu Aerospace Science and Technology Microelectronics System Research Institute Company (CASC) has ambitious plans to supplement city streetlights with the launch of an artificial moon over Chengdu, China. Eight times as bright as the Moon, this artificial moon will sport a reflective coating to cast sunlight back to the Earth. It will also be much closer to the Earth at about 310 miles away, compared to the Moon’s distance of 236,000 miles. And while its launch may be costly, the initiative is estimated to save the city around 173 million USD in annual electricity costs and can even assist first responders during blackouts and natural disasters. Why it's important: According to a 2016 study published in Science Advances, over 80 percent of the world’s population lives in areas classified as “light-polluted.” In these areas, residents have experienced noticeable perturbations in circadian rhythms, which can be extremely damaging to long-term health. As a less-harmful alternative to traditional street lights, Chengdu’s artificial moon may be able to decrease light pollution while still illuminating a night sky. As the world transitions to renewable resources, similar technologies could also help enhance our energy sources by enabling solar cell charging at night. 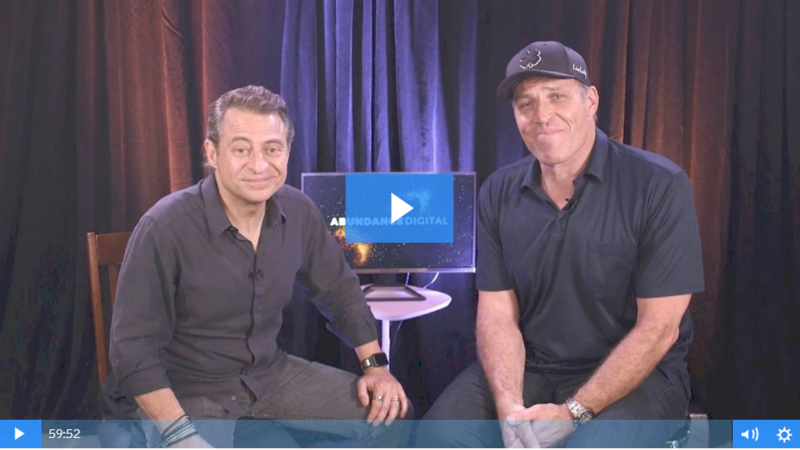 This issue, we share Peter's annual fireside chat with Tony Robbins in which they discuss: How do we increase human vitality & longevity and make “100 years old the new 60”? How will exponential technologies impact human purpose? How do we feed the next Billion People on Earth? How will we educate our children in the future?